DMI performing at Joshua Tree Music Festival Oct. 2018. 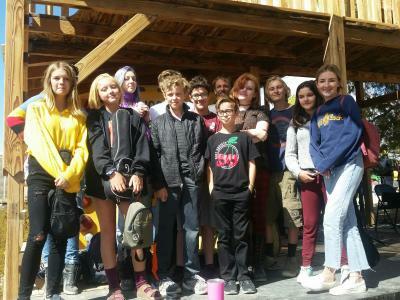 The Desert Music Institute is a youth music program based on the premise that if the music is relevant to the aspiring musician, they can learn faster and stick with it longer than with traditional music education models. Our mission is to spark a passion in kids and teens who want to play music in a band-like setting, and teach them the skills it takes to make music with others. We teach our students how to adapt songs to bring out the best of who is playing with them at that moment. We show them how to improvise, so they can channel their creativity with increasing dexterity as their skill set grows. We don’t play too loud! Too many musicians have hearing loss from playing with musicians who turn their amps up way too loud! Kids have great hearing. We aim to keep it that way! 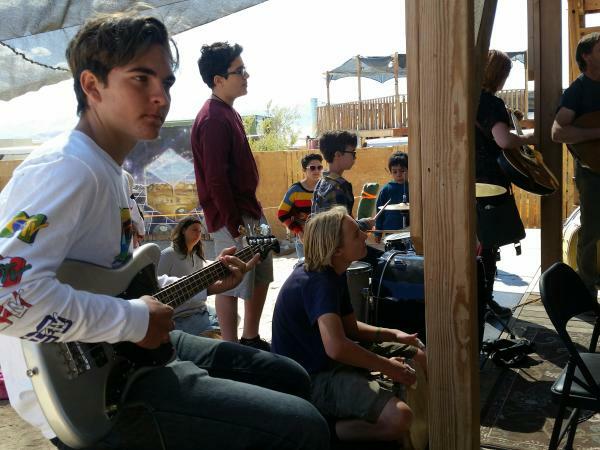 This youth music program meets at the Beatnik in Joshua Tree every Thursday at 3:30. 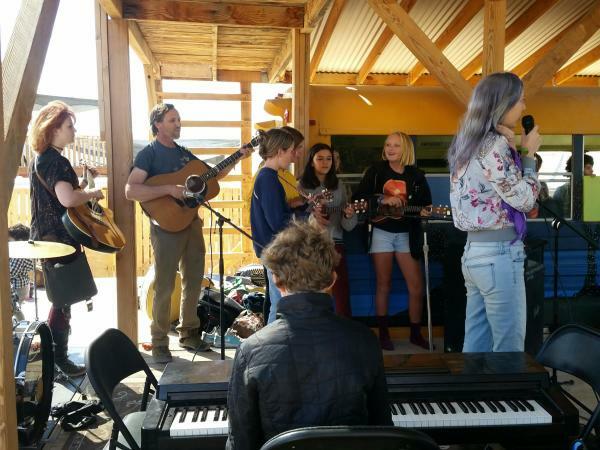 Keyboards, guitar, bass, drums, ukuleles, violins, and vocalists are all involved. Ages 7-17 Currently there are 16 youth musicians and 3 instructors. Instructor Erik Kramer Webb is a local musician and business owner who started the group and has carried it for a few years on all volunteer bases. Bryanna Evaro and Michael Reyes of Desert Rhythm Project are instuctors who invited the group to perform with them a few times. The growing attendance, popularity, and community benefits of this group has called for something more and properly funded to develop it into an ongoing program. Donations will go towards equipment such as PA, mics and various instruments, as well as a rental space that can host the group on, at least, a weekly basis. JTLA is proud to sponsor this program and all donations are tax deductible. Click here for Detailed Message from our Instructor(s)! ​Please donate today to support more music for local youth!! @ Desert Rhythm Project CD Release Party.